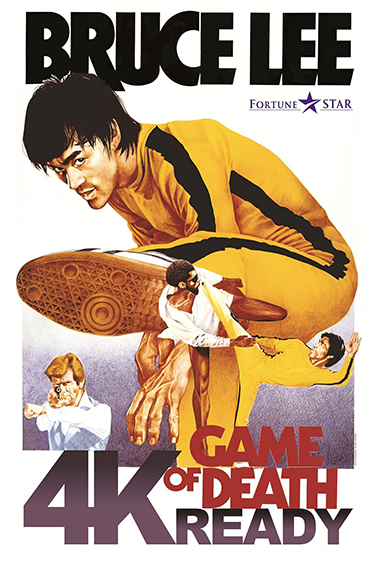 The final film starring Bruce Lee, Game of Death became a fitting memoriam to the first Asian kung fu superstar and a true cultural icon. Bruce Lee stars as Billy Lo, a Hong Kong actor well on his way to stardom. Billy’s wife Ann (Collen Camp) is a singer who, much like her husband, is beginning to find success. The rising stars are soon approached by ‘the syndicate’, who offer them a management deal. But knowing they only want to exploit their careers, Billy refuses. Not one to take “no” for an answer, their leader Dr. Land (Dean Jagger) tries to have Billy killed. Giving Billy an opportunity to fake his death and disguise himself, he exacts revenge against those who have wronged him and his wife in the past.